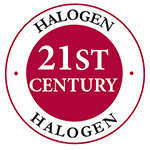 The High Definition light engine is an efficient bespoke halogen low voltage directional light source and is therefore not affected by EU phaseout of the more inefficient lamps. Click the icon for more information. Remember when words just leapt off the page? Enjoy reading under the same light used to show off the fine brush strokes and colour hues in the Van Gogh and other museums. The best light we make and the one Alex uses himself. 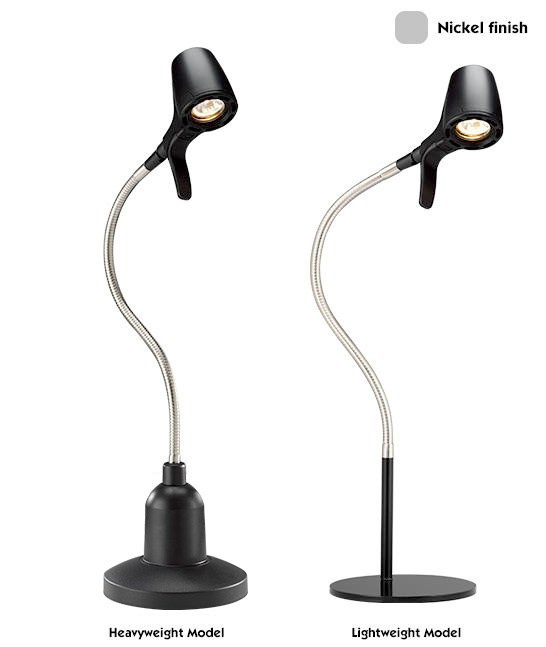 You told us that a great reading light needs to help you see clearly, be personal to your eyes and be easy to adjust. 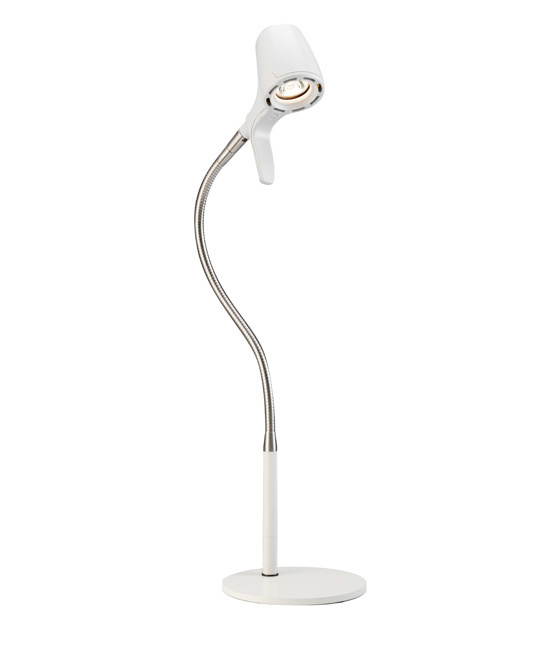 This is the ultimate reading light, designed to offer high definition clarity and superb colour rendition. 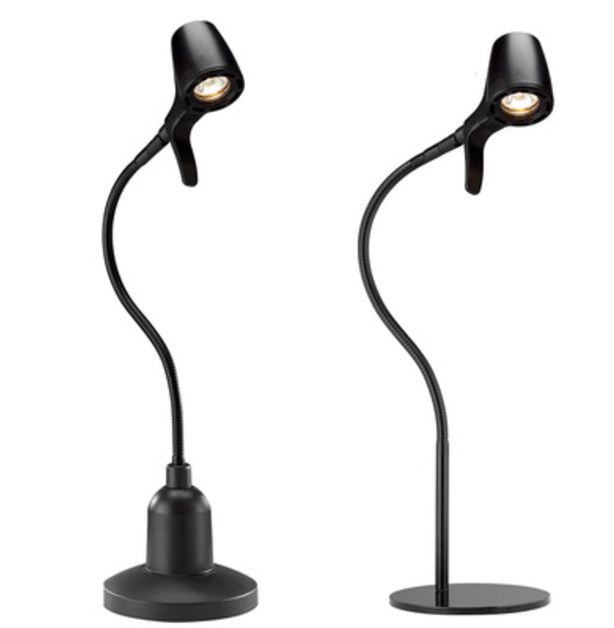 Whether you are using the light for reading, artwork, crafting, or any other hobby - the High Definition will really help. 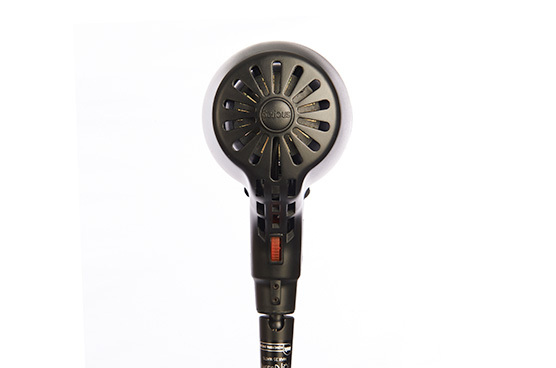 Fine-tune the brightness with the integrated dimmer wheel, situated conveniently on the back of the light head. Easily adjust the beam direction using the built-in handle, or alter the light spread with the diffuser lens and flexible stayput arm. 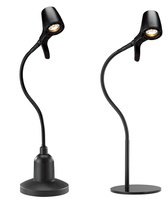 The unique to Serious Readers halogen light engine offers a light output unparalleled by any other man-made source. Colours are rendered as they would be in true daylight, and maximum clarity means you will be able to see fine print and detail more clearly. All the light but half the weight. The lightweight base is designed with a contemporary chic look, and designed to be easier to move and bend. Perfect for limited spaces on a bedside table, the thin base also slips easily and neatly under low furniture. Ideal if you want to move the light around your home. The lightweight is still stable, offers a flat base and a is designed to have a less industrial look. 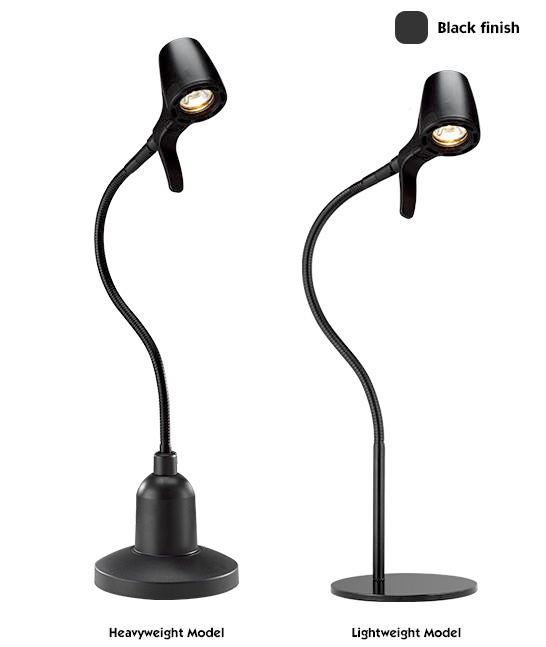 The deliberately heavyweight base ensures your light is planted firmly on your table. 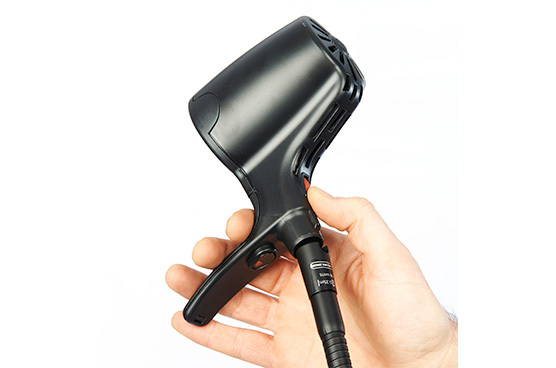 Built to robust industrial standards, it plants itself firmly for single-hand operation. 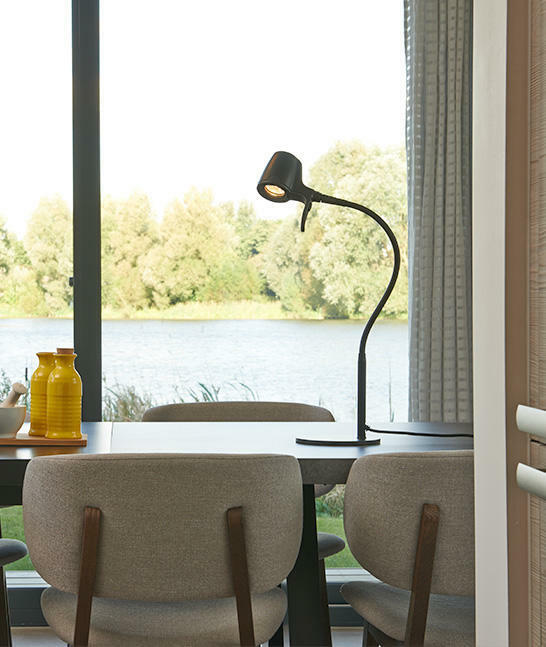 The base is deliberately weighty so that your light will be perfectly stable wherever it is positioned. 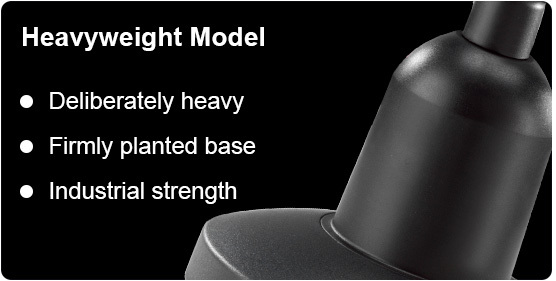 The original Serious Light base - the heavyweight remains a firm favourite with Serious Light owners. Black - The brass base metal is double-sprayed and double-baked to produce a durable matt black coating for the fully flexible stay-put arm. For a light that refuses to dominate the room, designed to blend and vanish into its surroundings, the all black finish is ideal. It is also the most popular finish. Nickel - A 15-20 micron brushed nickel coating on the brass base metal gives a sharp, hi-tech brushed finish. 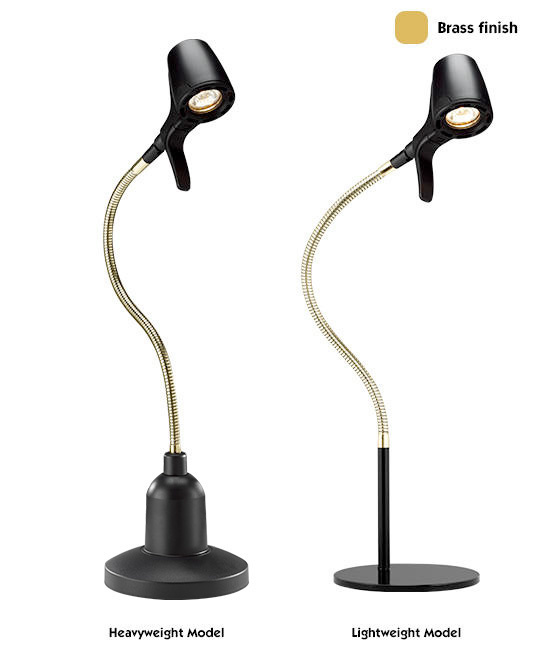 The black base, handle and lamp head make for a stylish modern contrast. Perfect for your workspace and beautiful in a modern setting. Brass - The 20-30 micron of zapon-treated brass on brass provides a long-lasting classic look, and the real wood mahogany-effect handles on the heavyweight floor model adds a final flourish, making this combination the perfect match for the more traditional spaces. 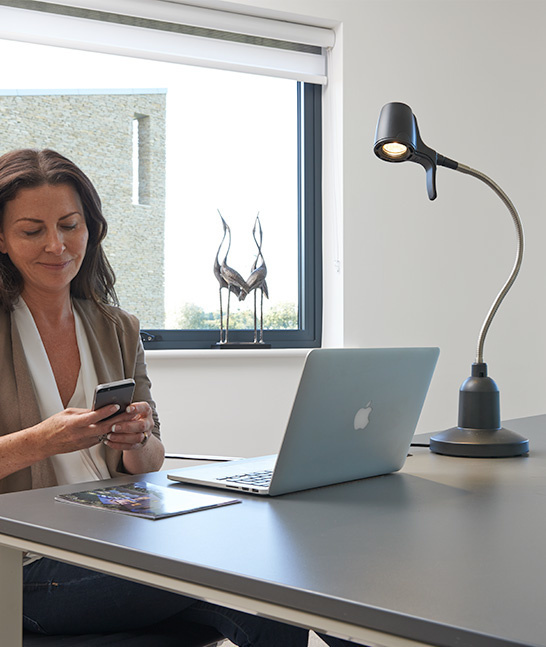 Dimmer Option - The dimming function allows for your light to be finely adjusted to your specific needs. Turn down the light intensity using the red dial (pictured above) when a softer light is required, then with one finger adjust it back up to full brightness when you need more light to get clarity. 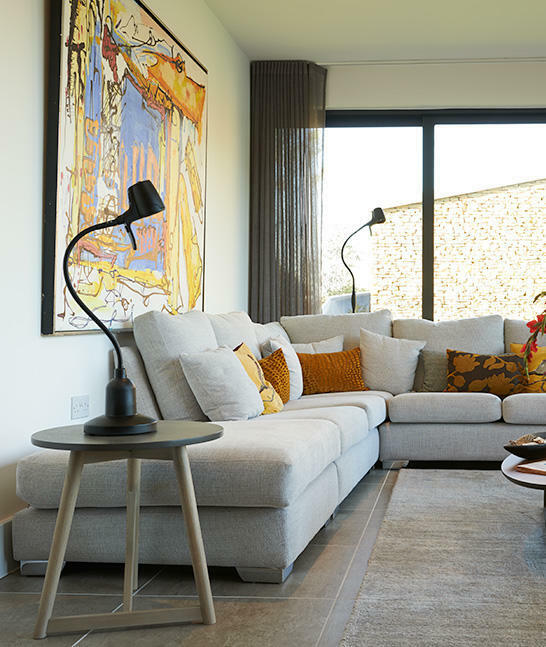 Dimming is standard on our High Definition lights and is taken up by the vast majority of Serious Readers suitable for bedside reading lights. The saving on Alex and Classic lights to de-specify the dimmer is £30. The cost to deliver your light order is £9.95 per order unless you request special arrangements. For small accessory orders with a value under £75 this is £3.95. For UK mainland orders, a specific delivery date can be chosen at checkout. On receipt of your order, your light(s) will be hand-built and delivered by courier. All orders are normally delivered within 15 working days. If you have any delivery queries please use our live chat function, email hotline@seriousreaders.com or speak to our customer service team on 0800 032 9366. We would like you to love every light you try, but if you don't we will happily offer you an exchange or a full refund for goods returned within 30 days. If you need to return or exchange a light call please use our live chat function, email hotline@seriousreaders.com or call 0800 032 9366. call us (Mon to Fri 8:30am to 5:30pm GMT) and we will arrange collection at our cost (from UK Mainland addresses). Approx. 98 in every 100 readers who experience the brilliant impact of a Serious light want to keep it. The idea of the in home trial is that you can try it for yourself in your reading space and see how much your eyes prefer it. Your order starts with a 30 day in-home risk-free trial. If you’re not totally happy with your light we will refund you the full amount including shipping costs and collect your light free from any UK mainland address. Decide to keep your Serious light, and you will be covered by our unusually long 5 year no quibble guarantee. (5 year guarantee applies to HD, Alex, Classic and Winston ranges). Serious lights are built by hand in Great Britain. Each is touched by more than 70 highly trained hands during construction using more than 100 bespoke components. Each light is carefully crafted in minute detail and delivered fully assembled. No flat pack misery, no tools needed, just plug them in and read. Really robust light that makes my desk work so much easier. Yes, but if I can’t write fewer than a certain number of letters then bog off. It does exactly what it says on the box. Superb reading light. Top quality item, mow my third purchase. An excellent light and ideal for our needs. Rather expensive but very well made. Good product that works satisfactorily. 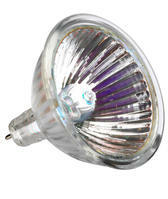 The lights are very stable and the quality of the light emitted is second to none. Designed by readers for readers each light is hand-built in our British factory using the best components sourced from the four corners of the world. 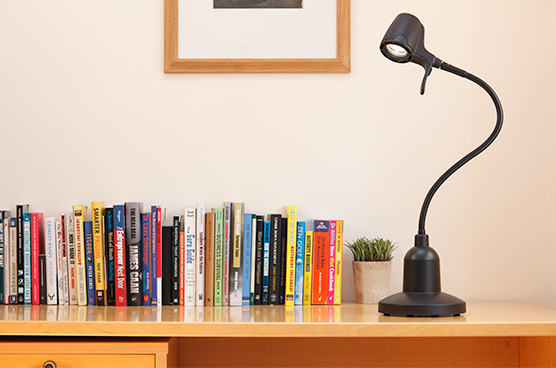 Built to last with a 5 year guarantee, these are tools for serious readers who read more than the average Joe and want the best light they can afford. Our light engines are more than standard bulbs and engage patented technologies to project the best light spectrum and pattern that decades of research and user feedback enables. Don’t buy one if you want cheap. If you’re looking for the best then it’s worth noting that fewer than 1 in 50 readers doesn’t love their light. Check out our independent reviews on FEEFO here. How can I decide which light is right for my situation? Your eyes are unique to you and you want to get it right so we know that most people will prefer to check with a specialist adviser. Use our live chat service to point you in the right direction. If you’d prefer to speak to someone over the phone, our British customer advice team can be reached on Freephone 0800 032 9366. How does the 30 day risk-free trial work? Try a light in your reading space and see the difference for yourself. If you are one of the few people who find it doesn’t quite do the trick for you, we can either swap it for a different model or collect it, all at our cost (UK mainland) and at the same time issue you with a full refund including the shipping charges. How do I change the bulb on this light? How do I dim the light? 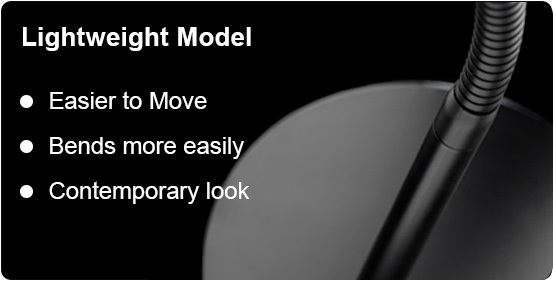 Your High Definition light has an integrated dimmer wheel which allows you to easily alter the light output. Where is the switch on my light? The switch for this light can be found at the location indicated by the blue arrow. 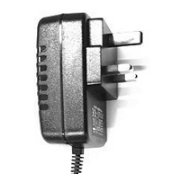 What type of plug does it have? This light uses a transformer plug because it uses a low voltage (12v) bulb. A picture of the transformer can be seen to the right.